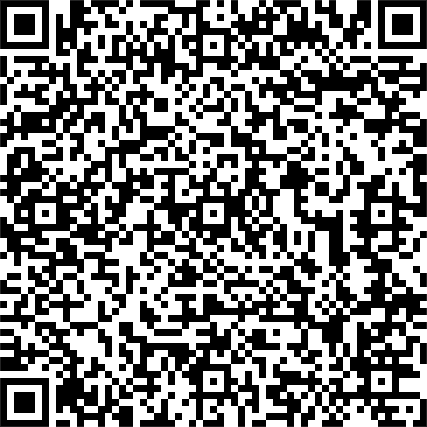 For all kind of events! The happiest day of your life has arrived and the music (combined with the right lighting) constitutes one of the most important parts of your reception. 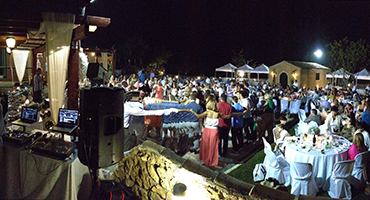 As professionals we provide a large variety of Greek and International music, from each decade and all types of music. We set a music plan according to your expectations and taste. 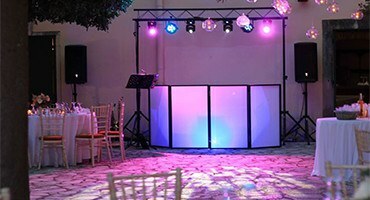 We take on all the light affects according to the need of the area your have booked for your event. We provide HD equipment for your pre-wedding videos and photos. The impersonation of joy, happiness, the dream! The most important day of your life has arrived and the music (combined with the right lighting) constitutes one of the most important parts of your wedding reception. Our ability to communicate with the public on each special evening, to be able to acknowledge the mood on the dance floor and play the appropriate tunes when needed, result into picking up the spirits and cheering you and your guests up! We plan with you your music collection according to your traditions and taste, by doing this we assure you a successful reception! Give your children the chance to forget the heavy workload and stress from the school year. We take on the music editing of school parties, entertaining young students with the latest music hits. For your child’s Birthday Party we take on the music, lighting and you have the possibility of Karaoke too! 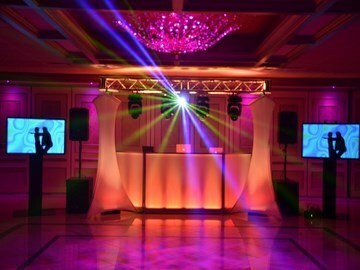 Give a special tune to your event with the latest hits, professional lighting and HD videos for: Receptions, Weddings, Christenings, Parties, Beach Parties, Karaoke, and Opening Events. 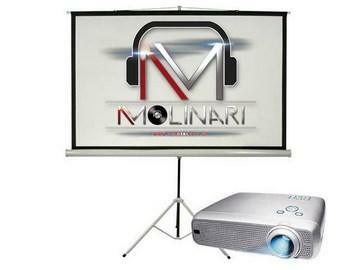 We fully provide professional equipment for the editing of your favorite videos and pictures through our HD projector on a 110 inches cloth. 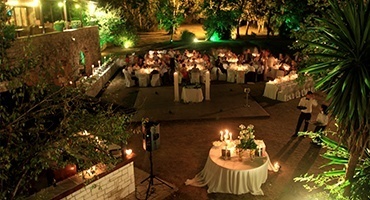 Based on the needs of the events area we cover the whole of the area with the appropriate professional lights. Are you looking for the right music for the most important day of your life? We design with you your music plan according to your traditions and taste. As professional in our field, we provide a huge variety of Greek and International music, from each decade and all types of music based on your taste! We will be at the area of the event an hour in advance, before the arrival of your guests in order to be fully prepared to welcome them. We will be with you right to the end of your reception. 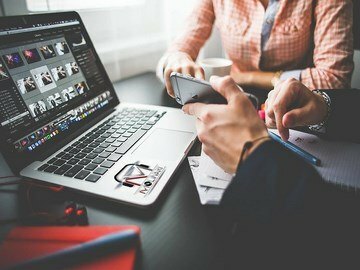 Only two words are needed to fully describe our main characteristics which are Professionalism and Punctuation, put together with years of experience and the best sound equipment, which we provide has become a contract of trust in our field. Wow! Best DJs ever!!!! They played everything we requested on our play lists and really made the party!!! They were so professional and made our guests so happy by playing any requests they had till the early hours of the morning! We were so pleased with their service and would highly recommend to anyone looking for something special to make their event memorable and a fun time!!! Thank you guys!!! You really got the party started!! 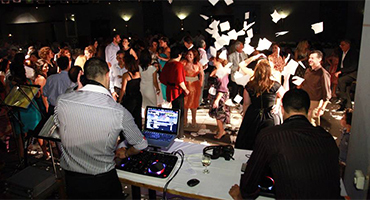 The music was very important for us and i was worried that we would not find a dj to meet our multicultural music needs, but he delivered way beyond our expectations! Lefteris himself is direct, open, honest, a true professional who really does know his job well. He took his time with us to ensure all the logistics and our music theme were spot on. We had two meetings prior to the wedding and he was overall very helpful. We had tahitian music, french music, greek music, english music and indian music. All our guests were so impressed and we were up dancing all night. We have had so many compliments for lefteris from our guests. We had an incredible time thanks to him and his team! thank you lefteri! Eva and David. We highly recommend him! "Happy, happy, happy to have you, Spyros, part as our beautiful story. 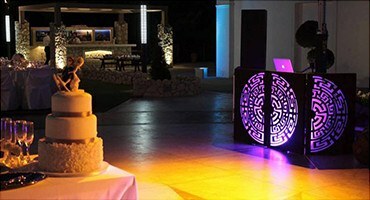 We had you as a DJ for our wedding in Corfu and that was, without any doubt, the best of our choices! We couldn’t thank you for making our day so special and different and specific types of songs played (greek, spanish, typically from our country and international ones), mixing them so well and the atmosphere created. 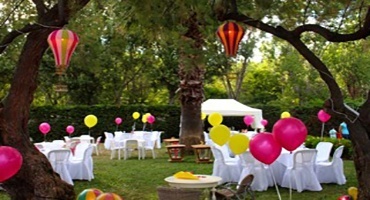 The equipment sound and light fitted perfectly in the environment and is a very good quality. You are a very nice person, very attentive to the details, flexible and helpful in different circumstances. All the guests enjoyed by dancing all night, even George couldn’t stop! We are very happy to meet you and hope to see again for another special occasion. The very best from us and keep it like this in the future and making people happy !!! Γεννημένος στο πανέμορφο νησί του ιονίου την Κέρκυρα ο Λεύτερης Μολινάρης από παιδική ηλικία ασχολείται με το χώρο τής μουσικής έχοντας ως πρότυπο τον πατέρα του σαν μουσικό σε τοπικό συγκρότημα του νισιου και τον μεγαλύτερο του αδερφό ως dj σε γνωστά μαγαζιά και beach bars τής εποχής. 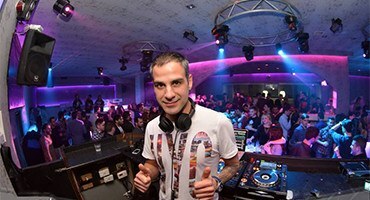 Ξεκίνησε να ασχολείται ως dj στα τέλη του 1995 στα τότε καλοκαιρινά μαγαζιά του νησιού ενω παραληλα εργαζοταν και σαν ηχολήπτης /φωτιστής στα μπουζούκια με μεγάλα ονόματα καλλιτεχνών από Αθήνα και Θεσσαλονίκη και από τότε το χόμπι του το έκανε επάγγελμα με όλη η σημασία τής λέξεως. Από το 1998 πού γύρισε στο νησί ασχολείται καθαρά επαγγελματικά στον χώρο παίζοντας σε cafe bars kai μεγάλα clubs του νησιού (αναφερόμαστε σε μερικά από αυτά όπως altuino cafe opera cafe bar ark beach bar ey-lounge cafe persona grata libro doro k.a kai bar clubs όπως inside bar base bar sodoma club prv club amaze cafe bar vip club kpl καθώς και σαν guest dj σε πολλά άλα clubs και beach bars του νησιού) !!! 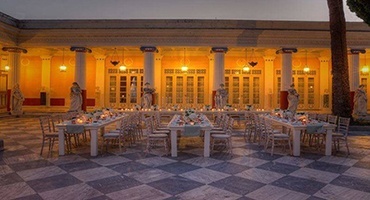 Πρωτοπόρος στο χώρο του wedding dj έχοντας στην κατοχή του άπειρη δισκοθήκη με όλα τα είδη μουσικής και ένα μεγάλο βιογραφικό επιτυχημένων γάμων και events με ζευγάρια και καλεσμένους να θυμούνται ακόμα και τώρα την αξέχαστη βράδια του γάμου τους ο Λευτέρης είναι κάτοχος του molinari events & weddings www.djmolinari.gr to οποίο σε συνεργασία με όλους τους χώρους εκδηλώσεων και κτήματα αναλαμβάνει τη μουσική επιμέλειά της εκδήλωσής σας στηριζόμενος στην πολυετή εμπειρία του, στα επαγγελματικά συστήματα ήχου και φωτισμού τελευταίας τεχνολογίας που διαθέτει.